Peter Bosz's Borussia Dortmund are not in the best form ahead of Saturday's Klassiker against Bayern Munich. 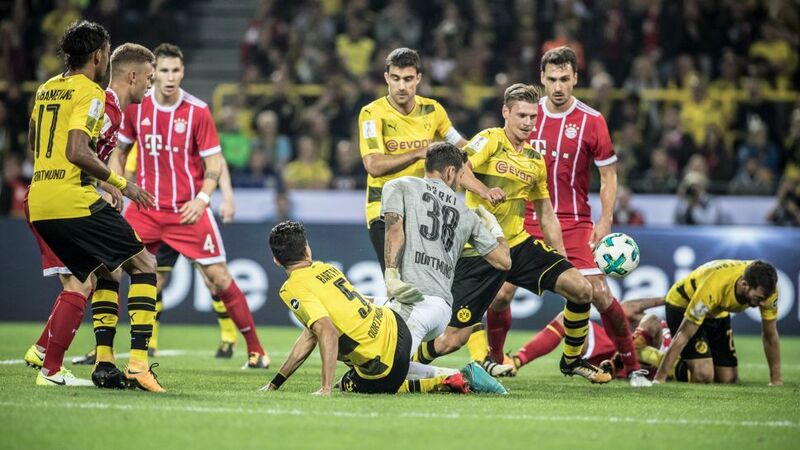 Peter 'Rembrandt' Bosz meets Jupp 'Ludwig Van' Heynckes this week as we ponder the important stats ahead of Bayern Munich's trip to face Borussia Dortmund in what is an always epic clash of classical styles. Der Klassiker: the footballing equivalent of colossal German composer Ludwig van Beethoven squaring off against dynamic Dutch visual artist Rembrandt in a breathtaking battle of iconic behemoths. Jupp Heynckes plays the prolific pianist in this scenario – the Bayern Munich tactician recently conducting the Bavarians back to their best by reproducing his familiar soundtrack to success heard frequently around Säbener Strasse in the past. The 72-year-old hasn’t put a note wrong in 28 previous Bundesliga games in charge of the German giants – even overseeing 19 wins in his last 20 top-flight encounters at the helm. Indeed, Heynckes’ last concerto before bowing out of the footballing world in 2013 could have been entitled, ‘Bayern’s BVB London Symphony.’ Der Klassiker came in the form of a UEFA Champions League final that year, the men in red prevailing against their Black-and-yellow opponents in the English capital. For Dutch coaching artist Peter Bosz, meanwhile, this is a dark period. His dizzying colours and deft touch left Dortmund’s Westfalenstadion denizens in awe in the opening five matches of the present season. The first in the Bundesliga to begin life at a new team by leading them through five games without conceding, praise for the tactician's perfect workmanship flowed. A 3,000th German top-flight goal for BVB arrived during that sequence; a best-Bundesliga start followed. Yet the paint has since faded, with Dortmund taking just one point from their last three games and conceding nine during that run. Fortunately for Saturday’s hosts, they have a genius to match the most famous Pole since Frederic Chopin. Robert Lewandowski and Pierre-Emerick Aubameyang once made memorable music together in the colours of Dortmund, but the pair have since separated, now scoring as soloists for rival outfits. Their artistry this term has led them to a top-scorer showdown – each managing ten goals in the campaign to date. What’s more, the Bundesliga has benefited to the tune of 202 goals since Lewy and Auba have both been present here from 2013 – the Gabon great netting 95 to his counterpart’s 107. And just as the story of these two striking sensations is intertwined, so too is the recent history of Bayern and Dortmund. In the past eight years, the Bundesliga title has been claimed by one of these teams, FCB lifting six to BVB’s two. Bayern’s lead in the trophy haul is represented by their having won 108 points more than Dortmund since 2012. Watch: Der Klassiker - the key battles! And so to Saturday, and a Klassiker that is certain to deliver drama of operatic proportions. In what will be a 25th meeting in six years between these equally gifted greats, the visitors hold the edge, leading the standings for the first time this season. The only Bundesliga team to have won on the past three Matchdays, Bayern are still 100 per cent in the division under the returning Heynckes this season. Yet for Dortmund, it’s the possibility of a renaissance – a return to that golden period of recent times – that will inspire. A classical encounter of wonder and artistry awaits; get ready to revel in the footballing delight that is Der Klassiker.